There are too many new mobile phones launching every day. Every mobile is with the extra ordinary features and OS compare to another one. And almost all the people rely on their phones and devices for personal and official purposes. As per the recent survey taken in USA, Mobile users are increasing day by day. People have stopped using desktop. Thus it is more important for you all to know about the ethical hacking tools available for Android phone. AndroRat stands for Android Remote Administration Tool. As the name applies, it is a remote administration tool which can be to control another phone or device even if you have no access of it. This tool is usefull for personal or professional purpose. You can track every activity done on the device with the help of this Android Hacking Tool. This is an open source app used to hack any secured wireless connection. Anyone can use it as it has user friendly features. Kill Wifi is extremely useful when you dont have an open WiFi not protected by a strong password. You can hack WiFi following few options. Most of the people would like to hack friends or family members social network accounts. DroidSheep does this job for you. You can use it to extract any information from other’s social media accounts. It can hijack any social media ccount, however you should have basic knowledge of android. And you have to be fimiliar with this Android Hacking App. This is one of the most important app for the experts, who wants to change their mac id to make their device unknown. Wifi Mac Changer changes your android phone MAC Address temporarily so that your online activities cannot be traced back to you. This is mostly used by SEO Experts to do submissions or posting many times from a same device. As the name shows, SpoofApp hide your number and give another random number while you are calling to any of your friend. Apart from changing your phone number, this app has a capability to change your voice and it records the whole conversation too, however you require SpoofCards to do it. Overall it is an amazing app to play pranks with ur friends or family members. These apps are useful if you are using these for entertainment. Dont use these apps to hurt someone. If you are aware of any other app. Do let us know. SO that we can update here. Kindly mention in comments. We are sharing Top Android Hacking Tools which will help you to hack any phone. 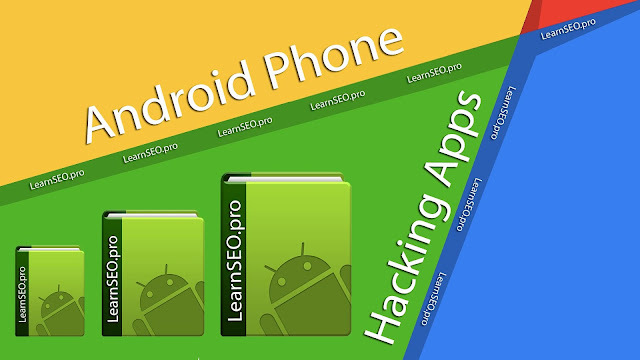 These Android Hacking Apps are used for personal or professional purposes.